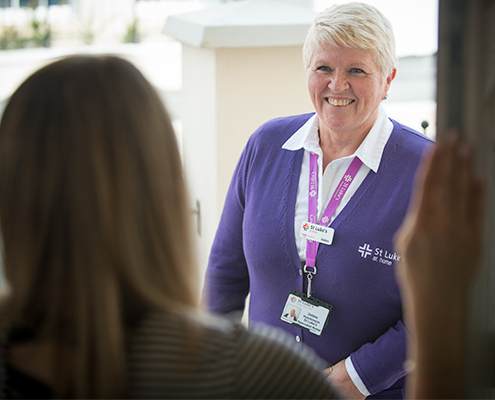 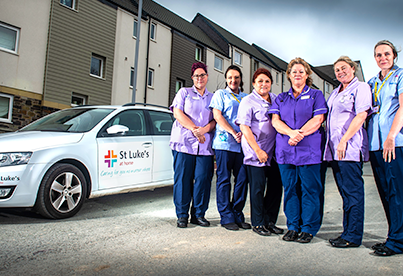 Did you know that almost half of the care we deliver is at home? 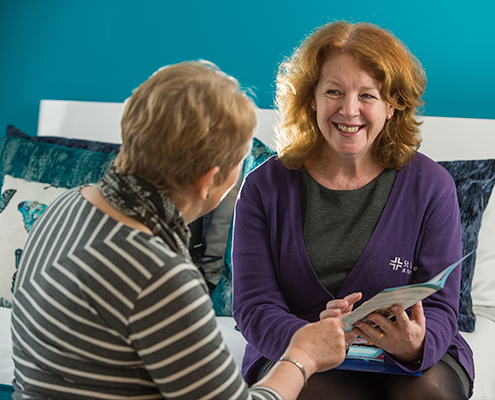 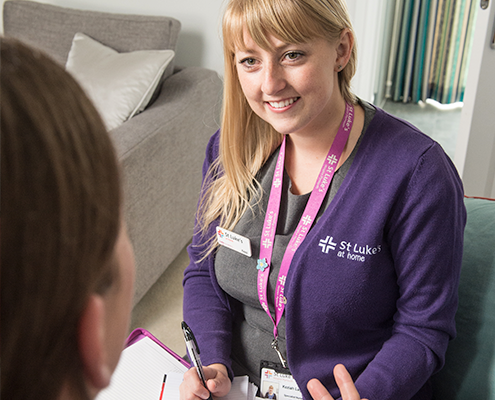 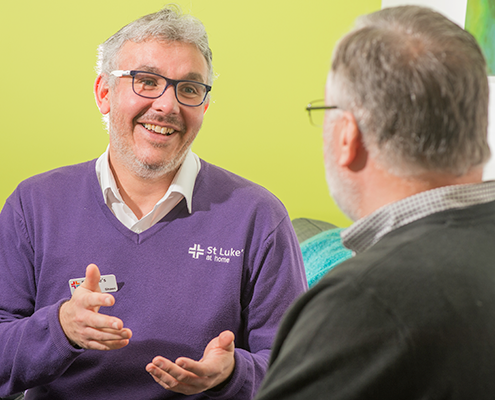 Our St Luke’s at home team offer specialist advice, care and support to people with progressive life limiting illnesses in the comfort of your own home. 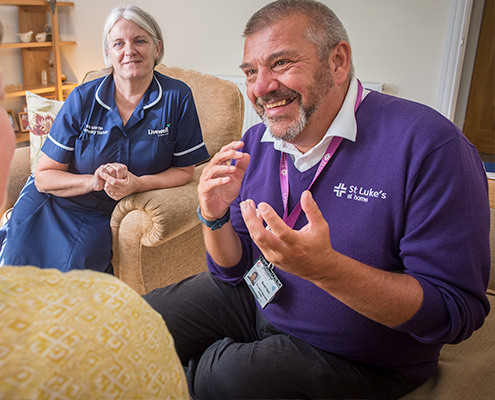 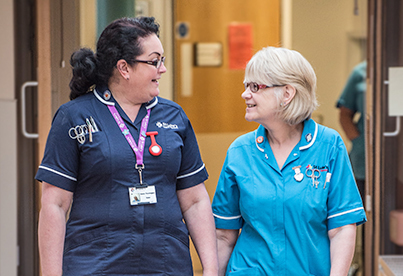 All our staff are trained in end of life care and include nurses, social workers and occupational therapists. 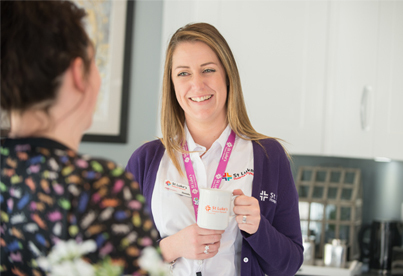 We work in partnership with families, carers, GPs and other health and social care agencies to provide you with the best possible care and support. 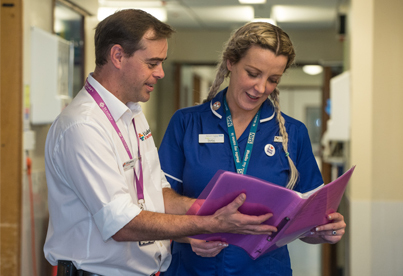 If you are a healthcare professional then please view our Information Hub for information on referrals.